The BEST and original box topper operation since 2004 in the USA. Put your ads on a nationally recognized name such as Domino's Pizza, Papa John's Pizza or Pizza Hut for mere pennies per ad. Never pay postage again and save money, lots of money. We have 3500+ stores available nationwide to serve up your ad. We do 10000 ads per store which is a 10 week supply meaning your ad may be seen several times for best results. 10 week supply meaning your ad may be seen several times for best results. Pizza Box Ads are delivered to the front door by #Domino's, #Papa John's and #Pizza Hut nationwide. We work with over 3500 national pizza chain stores across the USA. Sports and Pizza go together! 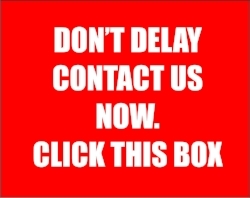 NOW is the time to advertise on DuranAds pizza box toppers. 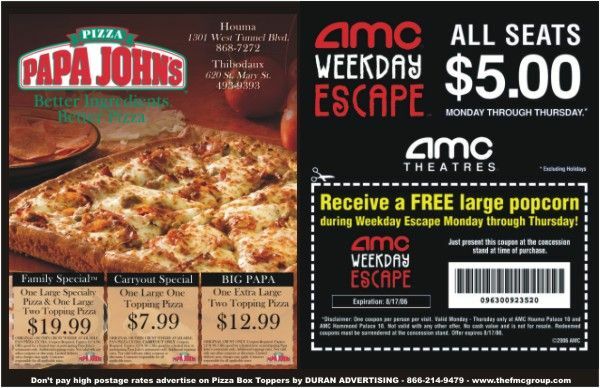 Pizza Box Top advertising also know as pizza box toppers or pizza box ads is very inexpensive branding. DuranAds has been doing pizza box topper advertising with national franchises like Dominos, Papa Johns and Pizza Hut since 2004, in fact we created this market per se. There are other imitators out there but we are the original and the best in the pizza advertising business. We work with over 3300 national pizza chain stores nationwide. We try to avoid local pizzerias not because they aren't great but because their volume is usually too low perhaps only 500-1000 per month delivered while our franchisees average 5000/month. 94% of the US population eats pizza. Usually there are several people waiting for the pizza delivery. Your ad will be the center attraction on the box top on pizza day and your coupon may be posted on their refrigerator for days. Each of your pizza box ads is “personally” handed over to your prospect's anxious and waiting hands. No other medium personally delivers to the customer, usually they go in the mail with all the other junk mail or out in the yard with all the other newspaper ads… in ugly black & white. Full color ads, not black and white. Personal hand to hand delivery to the waiting hands of your prospects not the "junk mail box". Lower costs than direct mail post cards - our ads costs 8-14 cents not 50-60 cents like a direct mail post card. 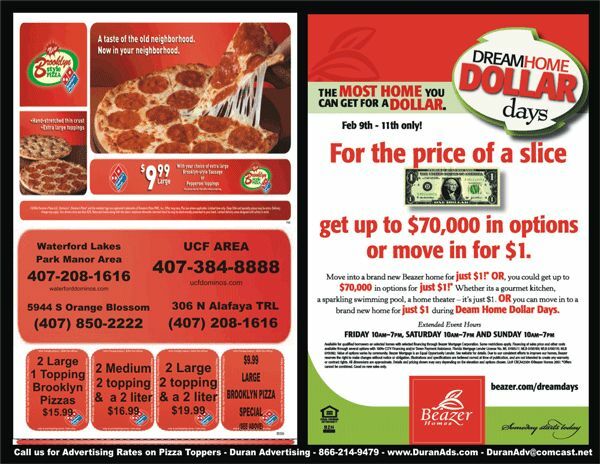 Longer Shelf life - Duran Pizza Box Topper ads go on the refrigerator for up to two weeks not discarded over the trash can when and if the direct mail gets delivered. Target marketing is easy, just pick the pizza stores in your market area - each pizzeria delivers in a 3 mile radius. No Postage, No Mailman, No Mailing List, No Bounced Mailings. Co-op with a national brand name pizza franchisees, not a local mom and pop that only delivers as a courtesy. 10,000 ads will be a 10 week campaign so chances are good your prospects will see the pizza topper ads more than once.